WRITING in the Telegraph, our former Foreign Secretary Boris Johnson declares that he has heard ‘from the lips of very senior sources’ that if Mrs May can get rid of the Irish Backstop her revised deal will be supported ‘full-throatedly’. Oh really? I can see a couple of problems, and I’m sure Boris can too. Firstly, even without the backstop the May deal is not Brexit and nor does it have a free trade deal. It sacrifices our EU power while retaining many of the obligations. Boris knows this too because he resigned about it back in September. The other problem is that there is almost zero chance of the EU accommodating any amendment (although there may already be a document tens of thousands of words long that purports to do so – until one reads the accompanying small print). Why should they? The EU has broken several British prime ministers, most recently Cameron by failing to give him the compromises he sought to avoid the referendum he didn’t want to call (in spite of his party having been elected to do it). Their winning strategy of intransigence is unlikely to change. Which is also why I think it unlikely that they will agree to the extension of Article 50 – they have Mrs May on her knees; why give her a break? Particularly one that would destroy their puppet in Dublin, Leo Varadkar. The reason for this is simply that the House of Commons has consistently undermined the exit negotiations by insisting that a WTO Brexit is not acceptable. So Mrs May’s options are Brexit (and the meltdown of the Conservative Party), to get her deal across the line (which looks nigh on impossible) or to kick the can down the road (which means we crash out to WTO on 29 March). I’m with option three, as is (I suspect) most of the country. This has gone on too long and the uncertainty is starting to hurt. This painful uncertainty is not about life outside the EU, it is about when we will get there and how the political crisis created by Gina Miller (and whoever funded her) will end. At a time when the country needs leadership, all we have to see is the Westminster windbags putting personal and party interest ahead of democracy and the national interest. We’re implementing a decision that will last for a century where the MPs’ definition of long term is the next vote. Those alleged ‘big beasts’ of the Tory party – Gove and Johnson – rather than reminding all and sundry of what Brexit really is (and why it will work), what the implications of the House of Commons obstructing the process are (really not good) and demanding explanations as to how in the name of all that is holy Her Majesty’s Government does not seem to have prepared for no-deal, have returned to the party machine, presumably in the hope of becoming the next leader. Boris, here’s the reality. 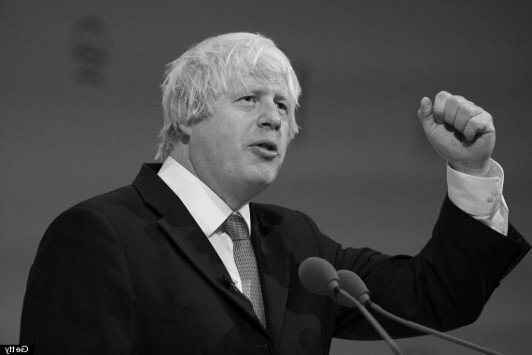 You may or may not become leader of the Conservative Party, but if you do not deliver Brexit – which now means a WTO Brexit – and make it work, you and the rest of your cabal will never see power again. It’s time for you to stop peddling rumours and start leading.